This outstanding example of a 2019 Mercedes-Benz S-Class S 450 is offered by Mercedes-Benz of Ontario. This Mercedes-Benz includes: WHEEL LOCKS (PIO)Wheel Locks PREMIUM PACKAGEKeyless Start Seat-Massage Cooled Front Seat(s) Hands-Free Liftgate Back-Up Camera Power Passenger Seat Power Driver Seat Heated Front Seat(s) Power Door Locks Keyless Entry Remote Trunk Release Bucket Seats TIRES: 20 HIGH-PERFORMANCETires - Front Performance Tires - Rear Performance REAR SEAT ENTERTAINMENTWHEELS: 20 TRIPLE 5-SPOKETires - Front Performance Tires - Rear Performance COMFORT BOX (PIO)BLACK POPLAR WOOD TRIMWoodgrain Interior Trim *Note - For third party subscriptions or services, please contact the dealer for more information. * There's a level of quality and refinement in this Mercedes-Benz S-Class that you won't find in your average vehicle. This Mercedes-Benz S-Class S 450 comes equipped with all wheel drive, which means no limitations as to how or where you can drive. Different terrains and varying weather conditions will have little effect as to how this vehicle performs.Based on the superb condition of this vehicle, along with the options and color, this Mercedes-Benz S-Class S 450 is sure to sell fast. 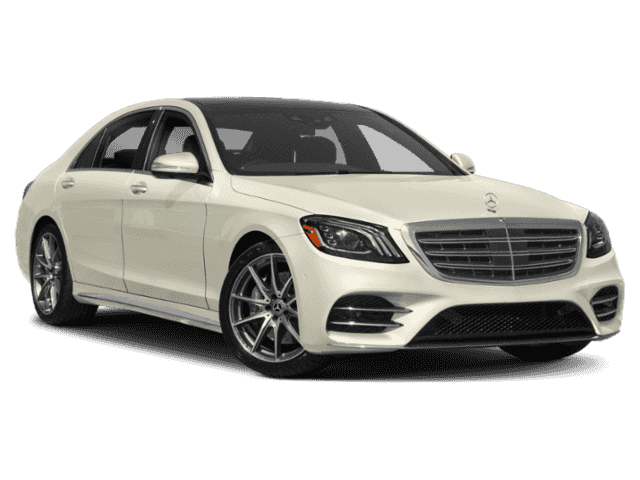 Contact Mercedes-Benz of Ontario today for information on dozens of vehicles like this 2019 Mercedes-Benz S-Class S 450. This Mercedes-Benz includes: WHEELS: 19 TWIN 5-SPOKETires - Front Performance Tires - Rear Performance PREMIUM PACKAGEKeyless Start Seat-Massage Cooled Front Seat(s) Hands-Free Liftgate Back-Up Camera Power Passenger Seat Power Driver Seat Heated Front Seat(s) Power Door Locks Keyless Entry Remote Trunk Release Bucket Seats COMFORT BOX (PIO)BLACK POPLAR WOOD TRIMWoodgrain Interior Trim DRIVER ASSISTANCE PACKAGELane Departure Warning Lane Keeping Assist Adaptive Cruise Control TIRES: P245/50R18 ALL-SEASON (STD)Tires - Front Performance Tires - Rear Performance BLACK HEADLINER*Note - For third party subscriptions or services, please contact the dealer for more information. * There's a level of quality and refinement in this Mercedes-Benz S-Class that you won't find in your average vehicle. You could keep looking, but why? You've found the perfect vehicle right here. This is about the time when you're saying it is too good to be true, and let us be the one's to tell you, it is absolutely true. You can find this 2019 Mercedes-Benz S-Class S 450 and many others like it at Mercedes-Benz of Ontario. This Mercedes-Benz includes: TIRES: 20 HIGH-PERFORMANCETires - Front Performance Tires - Rear Performance PREMIUM PACKAGEKeyless Start Seat-Massage Cooled Front Seat(s) Hands-Free Liftgate Back-Up Camera Power Passenger Seat Power Driver Seat Heated Front Seat(s) Power Door Locks Keyless Entry Remote Trunk Release Bucket Seats COMFORT BOX (PIO)AMG® LINE EXTERIORWHEELS: 20 TWIN 5-SPOKETires - Front Performance Tires - Rear Performance DRIVER ASSISTANCE PACKAGELane Departure Warning Lane Keeping Assist Adaptive Cruise Control BLACK HEADLINER*Note - For third party subscriptions or services, please contact the dealer for more information. * Today's luxury vehicle is not just about opulence. It's about a perfect balance of performance, comfort and attention to detail. This 2019 Mercedes-Benz S-Class is the perfect example of the modern luxury. The Mercedes-Benz S-Class S 450 will provide you with everything you have always wanted in a car -- Quality, Reliability, and Character.This is the one. Just what you've been looking for. Mercedes-Benz of Ontario is excited to offer this 2019 Mercedes-Benz S-Class. This Mercedes-Benz includes: TIRES: 20 HIGH-PERFORMANCETires - Front Performance Tires - Rear Performance PREMIUM PACKAGEKeyless Start Seat-Massage Cooled Front Seat(s) Hands-Free Liftgate Back-Up Camera Power Passenger Seat Power Driver Seat Heated Front Seat(s) Power Door Locks Keyless Entry Remote Trunk Release Bucket Seats REAR SEAT ENTERTAINMENTREAR SPOILER (PIO)Rear Spoiler BURL WALNUT LIGHT WOOD TRIMWoodgrain Interior Trim AMG® LINE EXTERIORWHEELS: 20 TWIN 5-SPOKETires - Front Performance Tires - Rear Performance DRIVER ASSISTANCE PACKAGELane Departure Warning Lane Keeping Assist Adaptive Cruise Control *Note - For third party subscriptions or services, please contact the dealer for more information. * Pull up in the vehicle and the valet will want to parked on the front row. This Mercedes-Benz S-Class is the vehicle others dream to own. Don't miss your chance to make it your new ride. The 2019 Mercedes-Benz exterior is finished in a breathtaking Diamond White, while being complemented by such a gorgeous STONE LEATHER interior. This color combination is stunning and absolutely beautiful!Just what you've been looking for. With quality in mind, this vehicle is the perfect addition to take home. This 2019 Mercedes-Benz S-Class S 560 is proudly offered by Mercedes-Benz of Ontario This Mercedes-Benz includes: BLACK POPLAR WOOD TRIMWoodgrain Interior Trim DRIVER ASSISTANCE PACKAGELane Departure Warning Lane Keeping Assist Adaptive Cruise Control 3-SPOKE WOODLeather Steering Wheel COMFORT BOX (PIO)WHEEL LOCKS (PIO)Wheel Locks WHEELS: 20 TRIPLE 5-SPOKETires - Front Performance Tires - Rear Performance TIRES: P245/40R20 FRONTTires - Front Performance Tires - Rear Performance PREMIUM PACKAGEKeyless Start Seat-Massage Cooled Front Seat(s) Hands-Free Liftgate Rear Parking Aid Back-Up Camera Power Passenger Seat Power Driver Seat Heated Front Seat(s) Power Door Locks Keyless Entry Remote Trunk Release Bucket Seats *Note - For third party subscriptions or services, please contact the dealer for more information. * You appreciate the finer things in life, the vehicle you drive should not be the exception. Style, performance, sophistication is in a class of its own with this stunning Mercedes-Benz S-Class. You can finally stop searching... You've found the one you've been looking for.The Mercedes-Benz S-Class S 560 will provide you with everything you have always wanted in a car -- Quality, Reliability, and Character. This 2019 Mercedes-Benz S-Class S 560 is proudly offered by Mercedes-Benz of Ontario This Mercedes-Benz includes: BLACK HEADLINERDRIVER ASSISTANCE PACKAGELane Departure Warning Lane Keeping Assist Adaptive Cruise Control COMFORT BOX (PIO)WHEEL LOCKS (PIO)Wheel Locks WHEELS: 20 TRIPLE 5-SPOKETires - Front Performance Tires - Rear Performance TIRES: P245/40R20 FRONTTires - Front Performance Tires - Rear Performance PREMIUM PACKAGEKeyless Start Seat-Massage Cooled Front Seat(s) Hands-Free Liftgate Rear Parking Aid Back-Up Camera Power Passenger Seat Power Driver Seat Heated Front Seat(s) Power Door Locks Keyless Entry Remote Trunk Release Bucket Seats NAPPA LEATHER STEERING WHEELLeather Steering Wheel *Note - For third party subscriptions or services, please contact the dealer for more information. * Pull up in the vehicle and the valet will want to parked on the front row. This Mercedes-Benz S-Class is the vehicle others dream to own. Don't miss your chance to make it your new ride. You've found the one you've been looking for. Your dream car.The Mercedes-Benz S-Class S 560 will provide you with everything you have always wanted in a car -- Quality, Reliability, and Character. 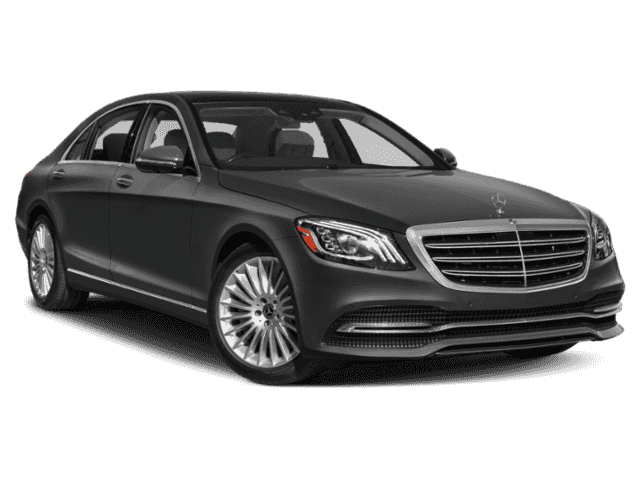 Contact Mercedes-Benz of Ontario today for information on dozens of vehicles like this 2019 Mercedes-Benz S-Class S 560. This Mercedes-Benz includes: BLACK POPLAR WOOD TRIMWoodgrain Interior Trim DRIVER ASSISTANCE PACKAGELane Departure Warning Lane Keeping Assist Adaptive Cruise Control COMFORT BOX (PIO)TIRES: P245/40R20 FRONTTires - Front Performance Tires - Rear Performance PREMIUM PACKAGEKeyless Start Seat-Massage Cooled Front Seat(s) Hands-Free Liftgate Rear Parking Aid Back-Up Camera Power Passenger Seat Power Driver Seat Heated Front Seat(s) Power Door Locks Keyless Entry Remote Trunk Release Bucket Seats WHEELS: 20 MULTISPOKETires - Front Performance Tires - Rear Performance NAPPA LEATHER STEERING WHEELLeather Steering Wheel *Note - For third party subscriptions or services, please contact the dealer for more information. * You appreciate the finer things in life, the vehicle you drive should not be the exception. Style, performance, sophistication is in a class of its own with this stunning Mercedes-Benz S-Class. You've found the one you've been looking for. Your dream car.Just what you've been looking for. With quality in mind, this vehicle is the perfect addition to take home. 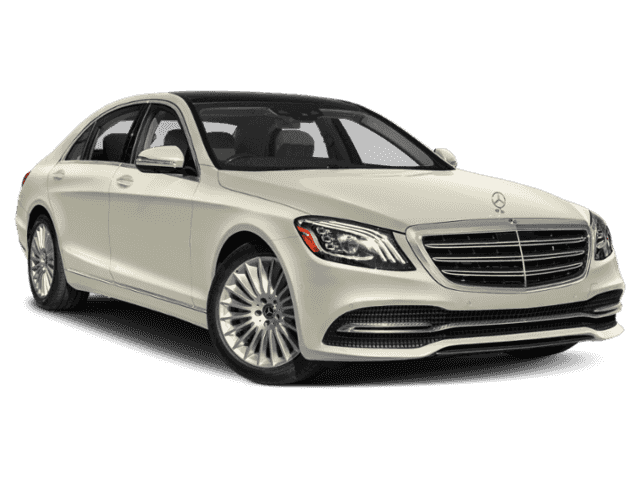 Contact Mercedes-Benz of Ontario today for information on dozens of vehicles like this 2019 Mercedes-Benz S-Class S 560. This Mercedes-Benz includes: BLACK HEADLINERBLACK POPLAR WOOD TRIMWoodgrain Interior Trim DRIVER ASSISTANCE PACKAGELane Departure Warning Lane Keeping Assist Adaptive Cruise Control COMFORT BOX (PIO)WHEELS: 20 TRIPLE 5-SPOKETires - Front Performance Tires - Rear Performance TIRES: P245/40R20 FRONTTires - Front Performance Tires - Rear Performance PREMIUM PACKAGEKeyless Start Seat-Massage Cooled Front Seat(s) Hands-Free Liftgate Rear Parking Aid Back-Up Camera Power Passenger Seat Power Driver Seat Heated Front Seat(s) Power Door Locks Keyless Entry Remote Trunk Release Bucket Seats NAPPA LEATHER STEERING WHEELLeather Steering Wheel *Note - For third party subscriptions or services, please contact the dealer for more information. * There's a level of quality and refinement in this Mercedes-Benz S-Class that you won't find in your average vehicle. There is no reason why you shouldn't buy this Mercedes-Benz S-Class S 560. It is incomparable for the price and quality.Just what you've been looking for. With quality in mind, this vehicle is the perfect addition to take home. This outstanding example of a 2019 Mercedes-Benz S-Class S 560 is offered by Mercedes-Benz of Ontario. This Mercedes-Benz includes: DRIVER ASSISTANCE PACKAGELane Departure Warning Lane Keeping Assist Adaptive Cruise Control COMFORT BOX (PIO)WHEEL LOCKS (PIO)Wheel Locks TIRES: P245/40R20 FRONTTires - Front Performance Tires - Rear Performance BURL WALNUT LIGHT WOOD TRIMWoodgrain Interior Trim PREMIUM PACKAGEKeyless Start Seat-Massage Cooled Front Seat(s) Hands-Free Liftgate Rear Parking Aid Back-Up Camera Power Passenger Seat Power Driver Seat Heated Front Seat(s) Power Door Locks Keyless Entry Remote Trunk Release Bucket Seats WHEELS: 20 MULTISPOKETires - Front Performance Tires - Rear Performance NAPPA LEATHER STEERING WHEELLeather Steering Wheel *Note - For third party subscriptions or services, please contact the dealer for more information. * Pull up in the vehicle and the valet will want to parked on the front row. This Mercedes-Benz S-Class is the vehicle others dream to own. Don't miss your chance to make it your new ride. The Mercedes-Benz S-Class S 560 will provide you with everything you have always wanted in a car -- Quality, Reliability, and Character.This vehicle won't last long, take it home today. 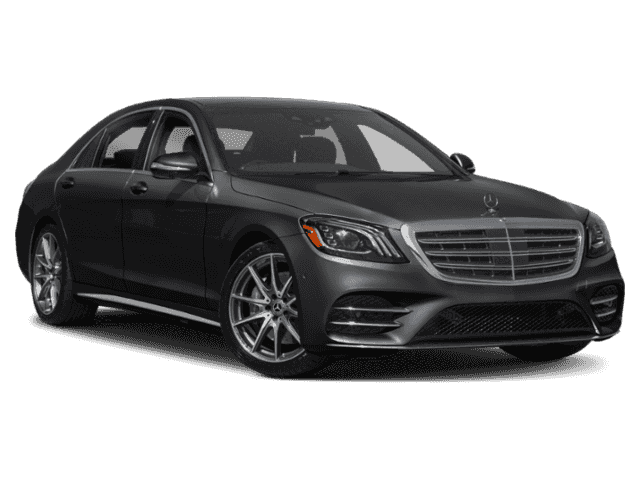 Contact Mercedes-Benz of Ontario today for information on dozens of vehicles like this 2019 Mercedes-Benz S-Class S 560. This Mercedes-Benz includes: DRIVER ASSISTANCE PACKAGELane Departure Warning Lane Keeping Assist Adaptive Cruise Control COMFORT BOX (PIO)WHEEL LOCKS (PIO)Wheel Locks WHEELS: 20 TRIPLE 5-SPOKETires - Front Performance Tires - Rear Performance TIRES: P245/40R20 FRONTTires - Front Performance Tires - Rear Performance BURL WALNUT LIGHT WOOD TRIMWoodgrain Interior Trim PREMIUM PACKAGEKeyless Start Seat-Massage Cooled Front Seat(s) Hands-Free Liftgate Rear Parking Aid Back-Up Camera Power Passenger Seat Power Driver Seat Heated Front Seat(s) Power Door Locks Keyless Entry Remote Trunk Release Bucket Seats NAPPA LEATHER STEERING WHEELLeather Steering Wheel *Note - For third party subscriptions or services, please contact the dealer for more information. * You appreciate the finer things in life, the vehicle you drive should not be the exception. Style, performance, sophistication is in a class of its own with this stunning Mercedes-Benz S-Class. You can finally stop searching... You've found the one you've been looking for.You've found the one you've been looking for. Your dream car. Contact Mercedes-Benz of Ontario today for information on dozens of vehicles like this 2019 Mercedes-Benz S-Class S 560. This Mercedes-Benz includes: BLACK HEADLINERDRIVER ASSISTANCE PACKAGELane Departure Warning Lane Keeping Assist Adaptive Cruise Control COMFORT BOX (PIO)WHEEL LOCKS (PIO)Wheel Locks WHEELS: 20 TRIPLE 5-SPOKETires - Front Performance Tires - Rear Performance TIRES: P245/40R20 FRONTTires - Front Performance Tires - Rear Performance PREMIUM PACKAGEKeyless Start Seat-Massage Cooled Front Seat(s) Hands-Free Liftgate Rear Parking Aid Back-Up Camera Power Passenger Seat Power Driver Seat Heated Front Seat(s) Power Door Locks Keyless Entry Remote Trunk Release Bucket Seats NAPPA LEATHER STEERING WHEELLeather Steering Wheel *Note - For third party subscriptions or services, please contact the dealer for more information. * There's a level of quality and refinement in this Mercedes-Benz S-Class that you won't find in your average vehicle. You've found the one you've been looking for. Your dream car.You can finally stop searching... You've found the one you've been looking for. This 2019 Mercedes-Benz S-Class S 560 is offered to you for sale by Mercedes-Benz of Ontario. This Mercedes-Benz includes: BLACK HEADLINERDRIVER ASSISTANCE PACKAGELane Departure Warning Lane Keeping Assist Adaptive Cruise Control 3-SPOKE WOODLeather Steering Wheel COMFORT BOX (PIO)WHEELS: 20 TRIPLE 5-SPOKETires - Front Performance Tires - Rear Performance TIRES: P245/40R20 FRONTTires - Front Performance Tires - Rear Performance PREMIUM PACKAGEKeyless Start Seat-Massage Cooled Front Seat(s) Hands-Free Liftgate Rear Parking Aid Back-Up Camera Power Passenger Seat Power Driver Seat Heated Front Seat(s) Power Door Locks Keyless Entry Remote Trunk Release Bucket Seats *Note - For third party subscriptions or services, please contact the dealer for more information. * You appreciate the finer things in life, the vehicle you drive should not be the exception. Style, performance, sophistication is in a class of its own with this stunning Mercedes-Benz S-Class. 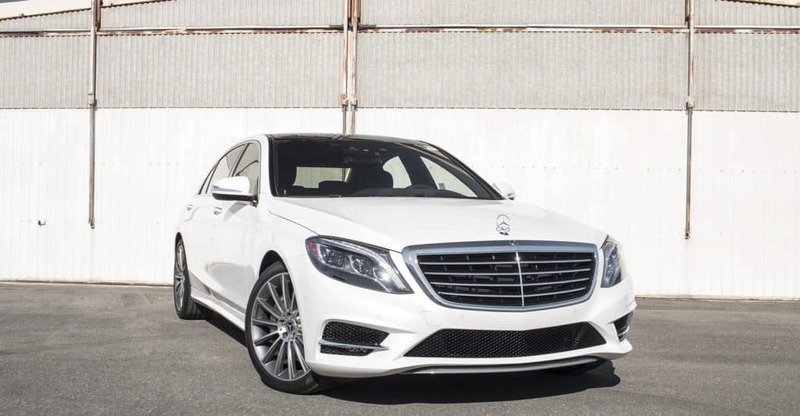 Beautiful color combination with Diamond White exterior over BLACK LEATHER interior making this the one to own!The Mercedes-Benz S-Class S 560 will provide you with everything you have always wanted in a car -- Quality, Reliability, and Character. Mercedes-Benz of Ontario is excited to offer this 2019 Mercedes-Benz S-Class. This Mercedes-Benz includes: REAR SEAT ENTERTAINMENTDRIVER ASSISTANCE PACKAGELane Departure Warning Lane Keeping Assist Adaptive Cruise Control WHEEL LOCKS (PIO)Wheel Locks WHEELS: 20 TRIPLE 5-SPOKETires - Front Performance Tires - Rear Performance TIRES: P245/40R20 FRONTTires - Front Performance Tires - Rear Performance PREMIUM PACKAGEKeyless Start Seat-Massage Cooled Front Seat(s) Hands-Free Liftgate Rear Parking Aid Back-Up Camera Power Passenger Seat Power Driver Seat Heated Front Seat(s) Power Door Locks Keyless Entry Remote Trunk Release Bucket Seats NAPPA LEATHER STEERING WHEELLeather Steering Wheel *Note - For third party subscriptions or services, please contact the dealer for more information. * Pull up in the vehicle and the valet will want to parked on the front row. This Mercedes-Benz S-Class is the vehicle others dream to own. Don't miss your chance to make it your new ride. The Mercedes-Benz S-Class S 560 will provide you with everything you have always wanted in a car -- Quality, Reliability, and Character.You can finally stop searching... You've found the one you've been looking for. 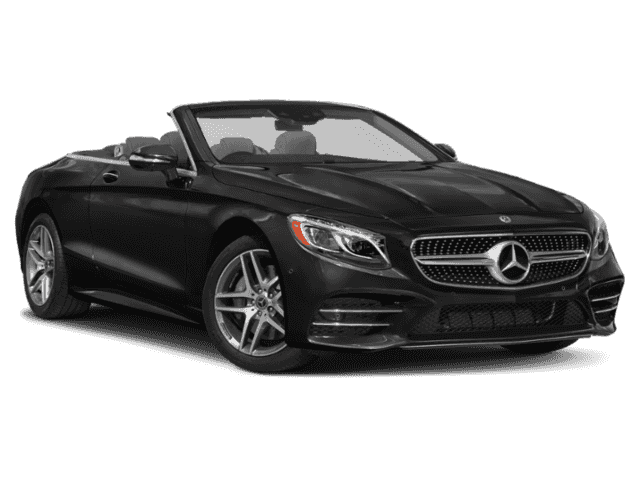 Contact Mercedes-Benz of Ontario today for information on dozens of vehicles like this 2019 Mercedes-Benz S-Class S 560. This Mercedes-Benz includes: BLACK HEADLINERDRIVER ASSISTANCE PACKAGELane Departure Warning Lane Keeping Assist Adaptive Cruise Control COMFORT BOX (PIO)WHEEL LOCKS (PIO)Wheel Locks WHEELS: 20 TRIPLE 5-SPOKETires - Front Performance Tires - Rear Performance TIRES: P245/40R20 FRONTTires - Front Performance Tires - Rear Performance PREMIUM PACKAGEKeyless Start Seat-Massage Cooled Front Seat(s) Hands-Free Liftgate Rear Parking Aid Back-Up Camera Power Passenger Seat Power Driver Seat Heated Front Seat(s) Power Door Locks Keyless Entry Remote Trunk Release Bucket Seats NAPPA LEATHER STEERING WHEELLeather Steering Wheel *Note - For third party subscriptions or services, please contact the dealer for more information. * Today's luxury vehicle is not just about opulence. It's about a perfect balance of performance, comfort and attention to detail. 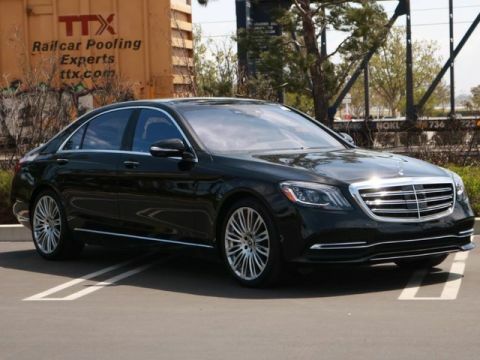 This 2019 Mercedes-Benz S-Class is the perfect example of the modern luxury. This is the one. Just what you've been looking for.Just what you've been looking for. With quality in mind, this vehicle is the perfect addition to take home. This outstanding example of a 2019 Mercedes-Benz S-Class S 560 is offered by Mercedes-Benz of Ontario. This Mercedes-Benz includes: DRIVER ASSISTANCE PACKAGELane Departure Warning Lane Keeping Assist Adaptive Cruise Control 3-SPOKE WOODLeather Steering Wheel COMFORT BOX (PIO)TIRES: P245/40R20 FRONTTires - Front Performance Tires - Rear Performance AMG® LINE EXTERIORPREMIUM PACKAGEKeyless Start Seat-Massage Cooled Front Seat(s) Hands-Free Liftgate Rear Parking Aid Back-Up Camera Power Passenger Seat Power Driver Seat Heated Front Seat(s) Power Door Locks Keyless Entry Remote Trunk Release Bucket Seats WHEELS: 20 TWIN 5-SPOKETires - Front Performance Tires - Rear Performance REAR SPOILER (PIO)Rear Spoiler *Note - For third party subscriptions or services, please contact the dealer for more information. * You appreciate the finer things in life, the vehicle you drive should not be the exception. Style, performance, sophistication is in a class of its own with this stunning Mercedes-Benz S-Class. Beautiful color combination with Selenite Grey exterior over BLACK LEATHER interior making this the one to own!Look no further, you have found exactly what you've been looking for. Contact Mercedes-Benz of Ontario today for information on dozens of vehicles like this 2019 Mercedes-Benz S-Class S 560. This Mercedes-Benz includes: DRIVER ASSISTANCE PACKAGELane Departure Warning Lane Keeping Assist Adaptive Cruise Control COMFORT BOX (PIO)WHEEL LOCKS (PIO)Wheel Locks TIRES: P245/40R20 FRONTTires - Front Performance Tires - Rear Performance BURL WALNUT LIGHT WOOD TRIMWoodgrain Interior Trim AMG® LINE EXTERIORPREMIUM PACKAGEKeyless Start Seat-Massage Cooled Front Seat(s) Hands-Free Liftgate Rear Parking Aid Back-Up Camera Power Passenger Seat Power Driver Seat Heated Front Seat(s) Power Door Locks Keyless Entry Remote Trunk Release Bucket Seats WHEELS: 20 TWIN 5-SPOKETires - Front Performance Tires - Rear Performance REAR SPOILER (PIO)Rear Spoiler *Note - For third party subscriptions or services, please contact the dealer for more information. * Pull up in the vehicle and the valet will want to parked on the front row. This Mercedes-Benz S-Class is the vehicle others dream to own. Don't miss your chance to make it your new ride. This is about the time when you're saying it is too good to be true, and let us be the one's to tell you, it is absolutely true.Beautiful color combination with Black exterior over BLACK LEATHER interior making this the one to own! This outstanding example of a 2019 Mercedes-Benz S-Class S 560 is offered by Mercedes-Benz of Ontario. This Mercedes-Benz includes: BLACK HEADLINERREAR SEAT ENTERTAINMENTDRIVER ASSISTANCE PACKAGELane Departure Warning Lane Keeping Assist Adaptive Cruise Control 3-SPOKE WOODLeather Steering Wheel COMFORT BOX (PIO)WHEEL LOCKS (PIO)Wheel Locks TIRES: P245/40R20 FRONTTires - Front Performance Tires - Rear Performance BURL WALNUT LIGHT WOOD TRIMWoodgrain Interior Trim AMG® LINE EXTERIORPREMIUM PACKAGEKeyless Start Seat-Massage Cooled Front Seat(s) Hands-Free Liftgate Rear Parking Aid Back-Up Camera Power Passenger Seat Power Driver Seat Heated Front Seat(s) Power Door Locks Keyless Entry Remote Trunk Release Bucket Seats WHEELS: 20 TWIN 5-SPOKETires - Front Performance Tires - Rear Performance REAR SPOILER (PIO)Rear Spoiler *Note - For third party subscriptions or services, please contact the dealer for more information. * There's a level of quality and refinement in this Mercedes-Benz S-Class that you won't find in your average vehicle. You can finally stop searching... You've found the one you've been looking for.This vehicle won't last long, take it home today. You can find this 2019 Mercedes-Benz S-Class S 560 and many others like it at Mercedes-Benz of Ontario. This Mercedes-Benz includes: BLACK HEADLINERDRIVER ASSISTANCE PACKAGELane Departure Warning Lane Keeping Assist Adaptive Cruise Control 3-SPOKE WOODLeather Steering Wheel COMFORT BOX (PIO)WHEEL LOCKS (PIO)Wheel Locks WIRELESS CHARGING REARWARMTH & COMFORT PACKAGECooled Rear Seat(s) Heated Rear Seat(s) Heated Steering Wheel Seat Memory Leather Steering Wheel AMG® LINE EXTERIORPREMIUM PACKAGEKeyless Start Seat-Massage Cooled Front Seat(s) Hands-Free Liftgate Rear Parking Aid Back-Up Camera Power Passenger Seat Power Driver Seat Heated Front Seat(s) Power Door Locks Keyless Entry Remote Trunk Release Bucket Seats WHEELS: 20 TWIN 5-SPOKETires - Front Performance Tires - Rear Performance REAR SPOILER (PIO)Rear Spoiler *Note - For third party subscriptions or services, please contact the dealer for more information. * You appreciate the finer things in life, the vehicle you drive should not be the exception. Style, performance, sophistication is in a class of its own with this stunning Mercedes-Benz S-Class. The look is unmistakably Mercedes-Benz, the smooth contours and cutting-edge technology of this Mercedes-Benz S-Class S 560 will definitely turn heads.Just what you've been looking for. With quality in mind, this vehicle is the perfect addition to take home. Contact Mercedes-Benz of Ontario today for information on dozens of vehicles like this 2019 Mercedes-Benz S-Class S 560. This Mercedes-Benz includes: BLACK HEADLINERBLACK POPLAR WOOD TRIMWoodgrain Interior Trim DRIVER ASSISTANCE PACKAGELane Departure Warning Lane Keeping Assist Adaptive Cruise Control COMFORT BOX (PIO)WHEEL LOCKS (PIO)Wheel Locks WARMTH & COMFORT PACKAGECooled Rear Seat(s) Heated Rear Seat(s) Heated Steering Wheel Seat Memory Leather Steering Wheel AMG® LINE EXTERIORPREMIUM PACKAGEKeyless Start Seat-Massage Cooled Front Seat(s) Hands-Free Liftgate Rear Parking Aid Back-Up Camera Power Passenger Seat Power Driver Seat Heated Front Seat(s) Power Door Locks Keyless Entry Remote Trunk Release Bucket Seats TIRES: P245/45R19 FRTires - Front Performance Tires - Rear Performance REAR SPOILER (PIO)Rear Spoiler *Note - For third party subscriptions or services, please contact the dealer for more information. * Pull up in the vehicle and the valet will want to parked on the front row. This Mercedes-Benz S-Class is the vehicle others dream to own. Don't miss your chance to make it your new ride. 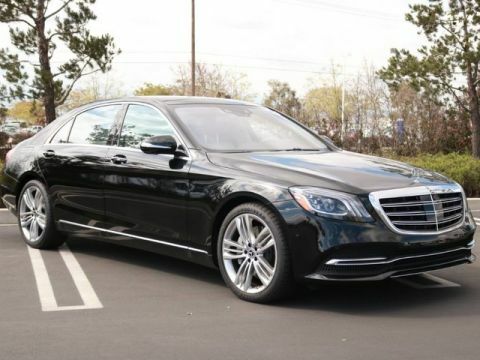 There is no reason why you shouldn't buy this Mercedes-Benz S-Class S 560. It is incomparable for the price and quality.Beautiful color combination with Diamond White exterior over BLACK LEATHER interior making this the one to own! Hands down, the Mercedes-Benz S-Class is one of the best luxury sedans, especially compared to the Audi A8. Not only is the Mercedes-Benz S-Class more powerful; it offers a larger, more spacious trunk and a host of luxuries, including steering-wheel mounted Touch Controls and Night View Assist®, that aren’t available on the Audi. If you’re shopping for a Mercedes-Benz S-Class for sale near Chino or Fontana, your search ends here! Schedule a test drive at Mercedes-Benz of Ontario—an award-winning dealership!